Old Timer | Where's my ruby slippers? Talking to some recently arrived expats this weekend, it occurred to me that as we hurtle towards the six year mark, we really have been in Dubai quite a long time. An unbelievable amount has changed, so much so that you forget what a dinky little town it still was when we first got here in the Spring of 2006. In fact when we first came to visit, six years ago next month, the Madinat was pretty much brand new, as was the Mall of the Emirates, including the famed Ski Dubai. Everyone was very, very excited about these projects, heralding as they did a new era for Dubai and the start of the boom years. But that was pretty much all there was to get excited about. 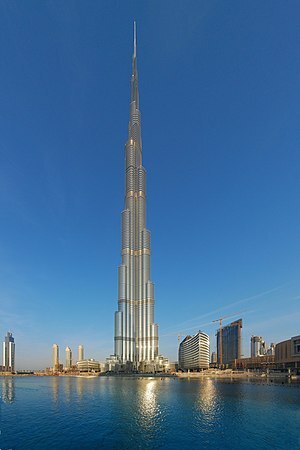 Downtown Dubai, including the Burj Khalifa, had barely broken ground. There was no sign of a Metro system. Gotham City (aka JBR) was just a glint in the eye of the developers, and in fact barely any of Dubai Marina was built at all. The ‘Original Six’ as they are known to residents of the high rises in the area, were pretty much the ‘only six’ – very few of the other towers that now occupy that part of the Marina were finished, and at the far end there was nothing but empty plots. There were no celebrity chefs (Gordon Ramsay excepted, a pioneer by all accounts), no designer hotels, and certainly no Waitrose. Sheikh Zayed Road may seem daunting to newcomers now but back then it was an actual racetrack which required nerves of steel to negotiate. There was no slow lane on the SZR and no lane discipline (well that still applies). But there were also no speed cameras, meaning no speed limit – just seven lanes of high-speed terror with cars veering wildly to cut in front of you at 180km/hr whilst their drivers sent text messages or read the paper or did their make up. I vividly remember the first time I drove the SZR on my own to go the 40min journey from the Marina to my teacher training college in Bur Dubai (basically one end of Dubai to the other). By the time I arrived I was in such a sweat and had cramp in my hands from gripping the wheel so hard, I swore never again, and in fact I avoided driving that way altogether for the next 9 months. Roads have altered so much they are barely recognisable to what they were a mere half a decade ago. In fact quite often there was no road. You would be headed to a destination and it would just run out, or the road that had been there the day before would have been moved or blocked, and you had no idea where it had gone or how to get to where you wanted to go. Everything (and I mean everything) was covered in cones and red and white stripey tape and there was yet to be a population explosion of ‘Flag Man’ to warn you of impending road changes that may or may not be life-threatening. I remember one time getting lost and the road running out, and having to turn around to get out – due to a complete lack of signage or security we nearly backed into a 30++ foot deep hole that is now something very tall in Media city. Everything seemed much further apart because the bits in the middle hadn’t been filled in with shops and houses and office blocks. Driving out to Arabian Ranches was like driving to the end of the world, via the world’s most terrifying roundabout – all six lanes of it with no traffic lights and no speed limit made for a pretty exhilarating experience- now replaced by an extremely civilised (if somewhat dull in comparison) interchange. There were no fountains to rival the Bellagio, no tallest building in the world, no reclaimed land that could be seen from space. When we first visited in December 2005, the Palm was still being dredged up and the view from the coast was actually of the sea rather than of the twinkly lights of villas and the imposing archway of the Atlantis, although admittedly even then the faint hum of the dredgers was audible and the first cranes had already taken up residence on the trunk. People were different too. The expat community was only just beginning to explode and many western expats were old-timers who had come to Dubai in the good old days when it really was still a hardship posting. It was like the 80s had never left, the men with mullet hair and every other woman dressed as either Felicity Kendall, Princess Di or Barbie, or some sort of hideous combination of the three. With only 200,000 western expats in the entire city, and a relative handful of places to hang out, everyone looked familiar wherever you went, largely because they were. Old timers and newcomers were definitely two very different breeds though. I reckon the community spirit probably left Dubai around the time we arrived. The new generation that arrived were fast, flashy and hungry – and ever so slightly greedy. I secretly think that it didn’t suit the old school at all, to have their quiet little tax free haven destroyed by the new kids on the block. Accommodation was scarce and competition fierce as the mass influx of new expats continued. Not like today where every other street has properties for rent or for sale. As they flooded in by the thousands, newcomers were actively encouraged to reside in the newly finished (or not quite finished) areas of ‘New Dubai’ rather than the older, more worn but ultimately better located villas of Jumeirah and Umm Sequim. Landlords charged what they wanted and changed the rules as they pleased. A law was passed to cap rents for three years in row just to try and control the problem of rent inflation. Odd to conceive of now that there was a time where you considered yourself lucky to get the apartment you actually wanted rather than it going to a person who saw it half an hour before you did. Back then I was also blogging, and I took some time out from writing this post to go back and revisit the ‘me’ of 2006, to get a sense of what it was like to be new again. ‘Rather over-excited’ would be my summary. It’s weird, because all I remember is being dreadfully, desperately homesick, but if you read my blog it sounds like I am having the most amazing time ever! I suppose that sums up the whole experience really – a thrilling and daring adventure to be in this place that was growing by the day, and so full of new things to see and do – but at the same time horribly lonely for friends and family. It’s interesting to see how much of the landscape of Dubai has changed since then, and yet to realise not much has changed at all in terms of our life – there are still enormously exciting and unique opportunities and experiences to be had here, and yet the comfort and familiarity of ‘home’ is still the thing I miss on a near-daily basis. Talking to my friends who are new to the life of expatriatedom, it’s easy to see they are in the full throes of being ‘new’ and it’s really refreshing and rather sweet to observe, because they don’t have years of the annoying stuff about living here to bury before they can be excited about it. They are completely ignorant of some of the more important things they should know, like what will get you put in jail, for example – but at the same time in that period where the culture, the landscape and the history is something to be immersed in before the day to day drudgery of normal life takes over and living here becomes like living anywhere else except with inconvenient dress codes, crap broadband and a longer commute to see your mum. But honestly, how amazing will it be one day to look back on our time here and know that we watched a city be built around us. It might be difficult and painful at times to live here, and to live away from home, but I guess with a little help from the Newbies, we should be reminded from time to time that it is, as the billboards of Burj Khalifa’s building site used to say, ‘History Rising’. 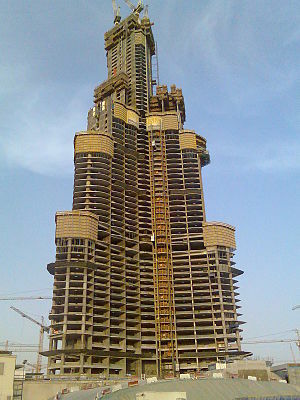 Posted on November 23, 2011 by Rubyslippers •	This entry was posted in Living away from home, Living in Dubai. Bookmark the permalink.